New to Snapchat or looking to find more people to follow? Similar to Twitter, Snapchat has grown massively in popularity, especially among the millennial generation. Various celebrities and influencers focus on different platforms to connect with their fans and followers (ex. Facebook, Twitter, Instagram), and Snapchat is a great medium for them to share quick photos and videos. 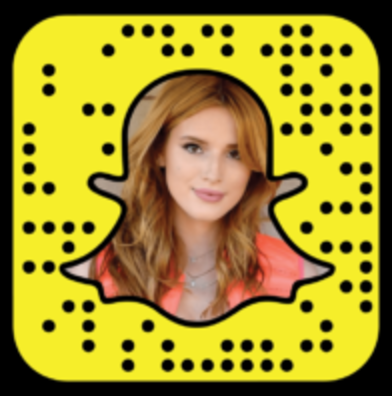 While there are a number of celebrity Snapchat lists, we have fine-tuned our selection to showcase a variety of celebrities, musicians, actors and Internet influencers. 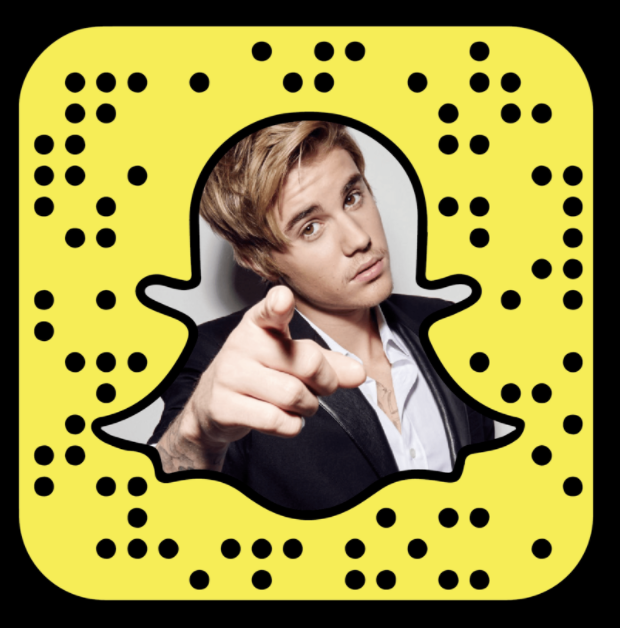 Read below for our top picks and info to find key celebrity snapchat names that match our views for some of the best people to follow on Snapchat. Reality television star, Kyle (Kristen) Jenner got her start to fame from the reality television show, Keeping Up with the Kardashians. Along with her Internet stardom, Kyle Jenner created a clothing line with her sister, Kendall, called "Kendall & Kylie" in collaboration with clothing brand PacSun. With no real introduction needed, Rihanna (full name: Robyn Rihanna Fenty) is a singer, songwriter and actress who resides in New York City. Key factoid - Rihanna was only 16 when she signed with Def Jam. Ariana Grande is an American singer and actress who started off her musical career performing in Broadway musical, 13. Her music career began with her first album release, Yours Truly, under musical label Republic Records. Bella Thorne (Annabella Avery Thorne) is an actress and singer who got her start off as a Disney star and currently stars in television series, Famous in Love. Starting her media fame with friend Paris Hilton, Kim Kardashian rose to fame when she appeared with her family in the E! reality television series, Keeping Up with the Kardashians. In addition to her user base on Snapchat, Kim has amassed millions of followers on Facebook, Twitter, and Instagram. Canadian singer and songwriter, Justin Bieber rose to fame when a talent manager discovered his YouTube videos at a young age. Bieber was the first music artist to have 7 songs debut on the Billboard Hot 100. Anastasia Ashley is a professional surfer and model who began surfing at the young age of 5 years, and won her first surfing contest just a year later. She currently resides in Malibu, California. Dan Bilzerian, an American socialite and professional poker player, has been given many nicknames over the years such as the "King of Instagram" (16M+ followers, adding over 20,000 new users per day) or labeled by GQ Magazine as "a kind of Bruce-Wayne-meets-Hugh Hefner for the social media age." Cara Delevinge, a English model and actress, is currently one of the primary models for Burberry's Beauty marketing campaign and has worked with other fashion brands, including H&M, Zara, Chanel, Fendi, and Dolce & Gabbana. In 2012, Cara began her acting career and eventually held a prominent role in Suicide Squad and will be be one of the featured actresses in Valerian and the City of a Thousand Planets. Kevin Durant is a basketball player for the Golden State Warriors of the NBA. He's a seasoned professional who has won the NBA's MVP award along with 4 NBA scoring titles and 2 Olympic gold medals. Kevin Durant is one of the highest paid NBA athletes in the world, with endorsements from major brands such as Nike and Foot Locker. Brittany Furlan is a comedian and Internet personality who lives in Los Angeles. With mobile video application, Vine, Brittany was the most followed user until she left the app in November 2015. Since Vine, she has expanded her influence to YouTube, Instagram (2M+ followers) and has appeared on television shows, MTV's Ridiculousness and E's The Soup. Calvin Harris is no stranger to Snapchat. Even BuzzFeed has commented on his snapping abilities. Calvin is a Scottish record producer and one of the most well-known electronic DJ's and producers. Since reaching international fame, Calvin Harris has collaborated with many prominent artists such as Rihanna. French-British actress, model and activist, Emma Watson is most famously known for her role as Hermione Granger in the popular Harry Potter film series, appearing in all of the eight films (2001-2011). Watson does not currently have a Snapchat account, despite all the demand and interest. Bethany Mota is an American video blogger, who rose to fame via her YouTube videos covering her various fashion, shopping and style purchases. She has published numerous videos providing tips for fashion ideas, outfits, recipes, and DIY ideas. Mota also had the opportunity to interview former President Barack Obama on January 22, 2015 following his State of the Union Address. Create a unique Snapchat filter for your upcoming event!